When you hear a report about someone arrested for a DUI in Los Angeles, your immediate thought might be that the person had been drinking too much alcohol before getting behind the wheel. But other substances can cause impairment similar to alcohol’s effects. 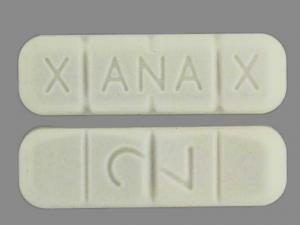 Television station WAFF in northern Alabama reported in June that state police are seeing more and more cases of motorists driving erratically after taking prescription drugs like Xanax. In one case, a man used Xanax and codeine before driving, eventually running off the road in an accident that killed his seven-year-old daughter. Police officers have a problem when it comes to determining whether a motorist has been impaired because of prescription meds. They can immediately get a fairly good gauge of blood alcohol levels by administering a breathalyzer test. But the breathalyzer can’t detect the presence of prescription drugs. Police officers need a laboratory to conduct those tests, and long waits for processing samples at state labs gums up the system and leads to lots of delays. Critics say this “how do we stop prescription drug DUI” problem now challenges law enforcement all over the country. In Fresno, California, on Friday, June 5th, police responded to two separate accidents that involved DUI and prescription drugs. ABC 30 reported that Alyssa Gonzales, age 18, slammed into David Torres when he was stopped at a red light. The accident killed Torres and resulted in charges against Gonzales, who allegedly had been taking a prescription for a spinal condition. A few hours later, 38-year-old Denise Lago, under the influence of prescription drugs, swerved into oncoming traffic. She caused a four-vehicle accident that killed Ken and Jeannine Balderrama, who were riding a motorcycle. In an ironic twist of fate, the defense attorney representing Lago is a cousin of David Torres, the man killed in the earlier accident. Los Angeles DUI accidents can claim lives at any time; an awful crash in Redondo recently killed 3 Californians and injured many more. According to reports, twelve people suffered injuries, when a woman crashed into a group of Christmas concert-goers in a Redondo Beach church last December. 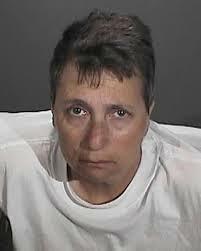 Margo Bronstein had been exiting St. James Catholic Church when she slammed into pedestrians leaving the concert. Three people died; two suffered bad injuries; and seven others suffered minor injuries. Bronstein, a paraplegic, had a spotless driving record, but she had been taking medication that day. Her car had been outfitted with various technology to assist her driving. She had hand brakes on the steering wheel and special rear-view mirrors. Police might charge Bronstein with felony DUI and vehicular manslaughter. Her attorneys have been urging the public to avoid jumping to conclusions about the accident. It is possible, they argue, that a defect in the hand brakes could have contributed to the accident. If Bronstein’s lawyers can prove that the incident had been an accident — and that medication had not been to blame – perhaps they can fight or eliminate the charges. Her medications included muscle relaxers and other pain relievers to help her cope with chronic health issues. Accidents involving prescription drugs can still be charged as DUIs, and the consequences of even non-injury stops can include jail time, license suspension, fines and fees and beyond. If a blood or urine test measures a drug’s present in the bloodstream, a conviction could follow.